Foraging abilities of the amoeboid slime mold Physarum polycephalum may be improved by "noise" in the form of intermittent light exposure, according to a study published March 29, 2017, in the open-access journal PLOS ONE by Bernd Meyer from Monash University, Australia, and colleagues. In the study, the researchers used a mathematical model to test how the slime mold would react to changing environments. To do this, a maze was created with two alternate pathways connecting two food sources. 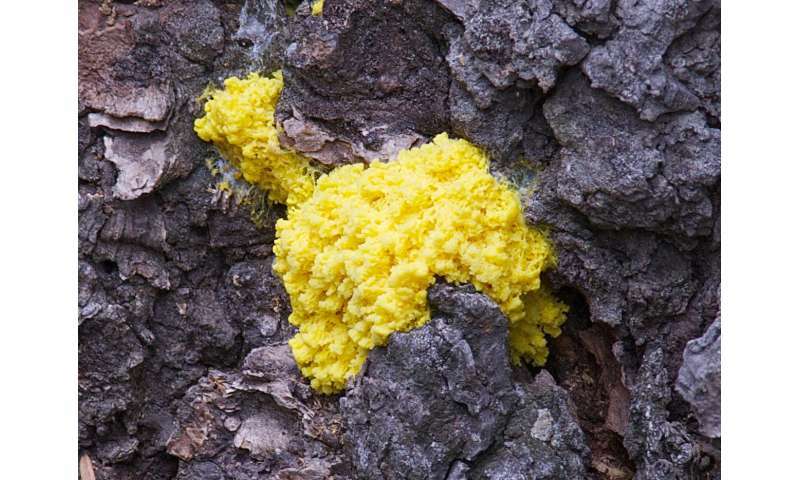 The researchers then used intermittent exposure to visible light, which slime molds try to avoid, as "noise" to see how the slime mold would react. In this environment, the model predicted that the slime mold was able to find an optimal physical distribution through the maze that balances its needs for chemical communication, food absorption, and avoidance of the light. This paper builds on observations of slime molds foraging in stable environments, and extends research insights by proposing how a dynamic setting, one that mimics ever-changing conditions of the real world, may influence the adaptive abilities of this self-organized biological system. Further research is needed, but if this prediction is confirmed, the finding will align with mathematical properties that describe decision making in other self-organized social systems, such as bacterial and ant colonies, honey bee hives, and even human communities. "Our work investigates decision making in the true slime mold, Physarum polycephalum, one of the most widely used model organism to study self-organization in biological systems," says Bernd Meyer. "It reveals that noise in self-organized decision making is a fundamental driver for the ability to flexibly adapt behavior in changing environments."